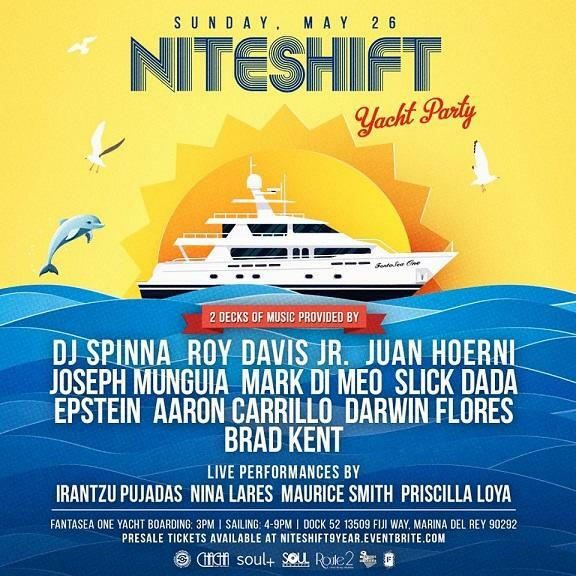 Join WCS Events, Juan Hoerni & Joseph Munguia as they celebrate NINE years of Niteshift and set sail again on the FantaSea One yacht! 4 levels, 3 bars, 2 decks of music & 1 sunset along with catered food and YOU! 21+ | Boarding is at 3PM, Yacht leaves promptly at 4PM!